Evergreen tree, 1-3m high, native in the mountains of Central and South Europe. The essential oil of P.mugo is used in cosmetic preparations to promote blood circulation to the legs and feet, to nourish the stressed skin and make it supple and resistant. The antibacterial activity also reduces the formation of malodors. Freshly steam-distilled essential oils of P.mugo contained only traces of p-cymene (0.05-0.1%) and higher amounts of β-caryophyllene (4.6-5.4%). 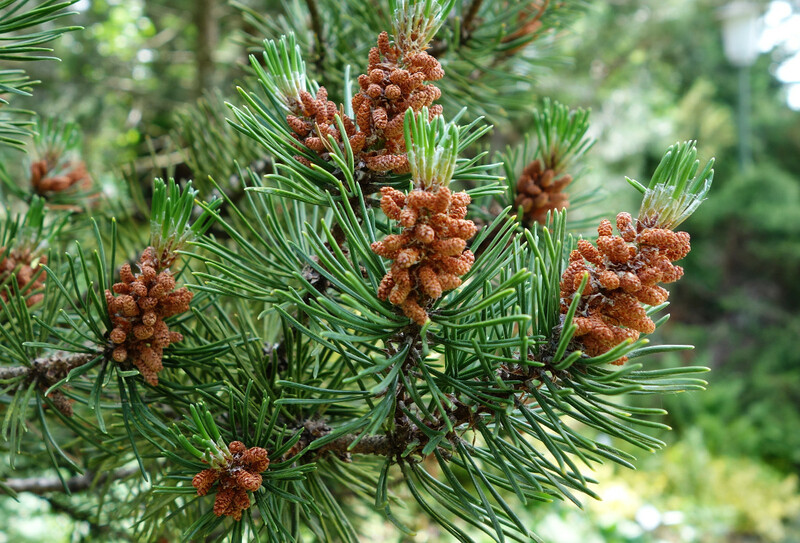 Main components of these oils were α-pinene (13-25%), δ-3-carene (16-26%), β-pinene (3-15%) and β-phellandrene (2-8%). Commercial oils (Germany) showed mean values of α-pinene (24.4%), δ-3-carene (17.8%), β-pinene (9.8%) and β-phellandrene (8.2%). Old oils showed elevated values of p-cymene (1-2%) and small amounts of β-caryophyllene (0-0.8%).